I'm ecstatic - I got the last bit of fabric from the lovely Ayumi to finish the equally lovely Leila's Cocorico Bee Block. Yes...I made not just one but three : ) I couldn't stop they were so much fun to make. Leila can choose her favorite! Since Leila asked for 6" blocks and this block is a bit easier than most of my bee blocks I've made, I decided to make "In the Cupboard - Mixing bowl set" for her as well. There is a pic on my pinterest board of stacked vintage pyrex which was the inspiration for this block. This one was also fun and very addictive to make. The top left is my vintage bowl set - mismatched and much loved. The other two are definitely a matching set though also vintage inspired. Most of the fabrics were from Ayumi's wonderful shop. The apple fabric on the bottom is Riley Blake Apple of my eye, which I just adore! 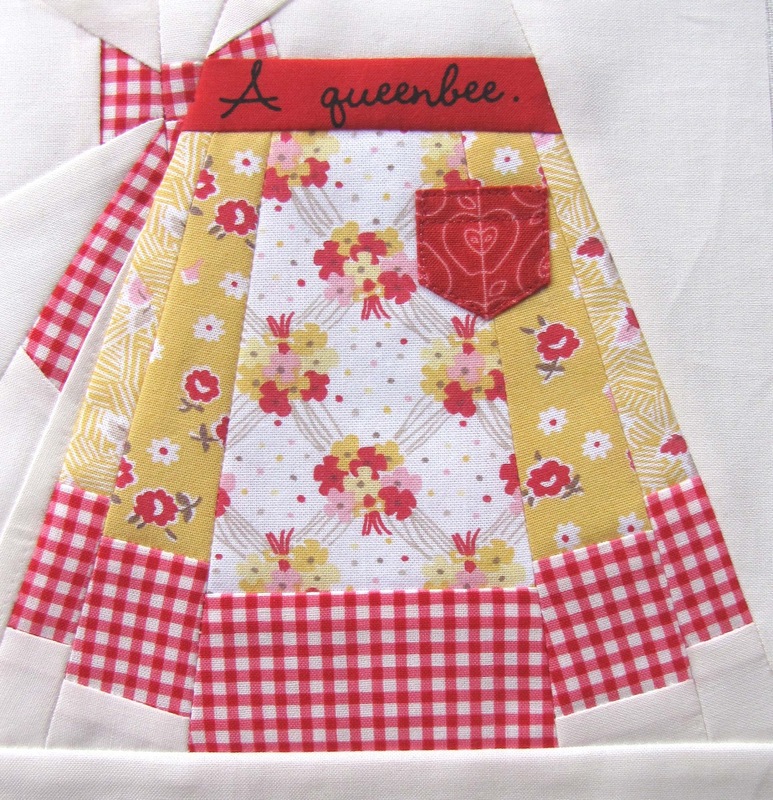 The yellow and red apron fabric is Hope Chest from the website Connecting Threads. The patterns are available in my Etsy shop and Craftsy shop should you want to make one of your own!! On the home front, it has been crazy busy around here. My hubs has been working hard on our new patio for our back yard with help from our boys!! They are actually at an age where they are helpful. It is pretty cool. Oh your blocks are fantastic!! I can't decide if I love the aprons or the pyrex bowls more. They both look so cute! These blocks are just soooo wonderful! 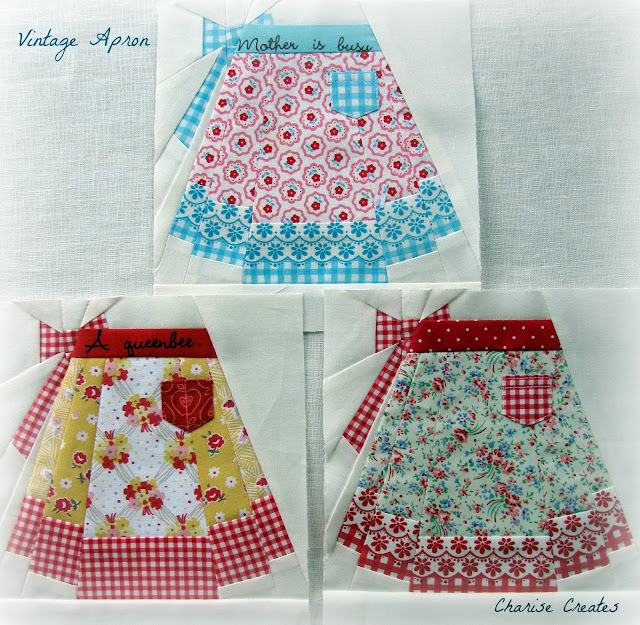 Love all three aprons...how would one choose? And those bowls! My mom's cupboards were full of these bowls! Well done! 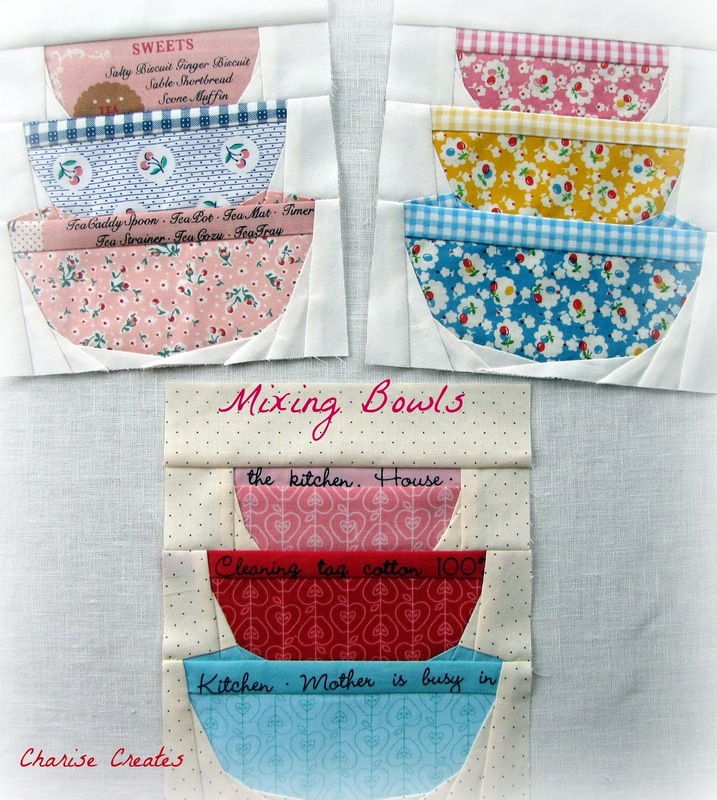 Both blocks are making me squeal, but the aprons are really really special! Not sure how Leila will pick one apron from the three adorable options! I think the yellow and red one is mine! love your blocks! the aprons are perfect. 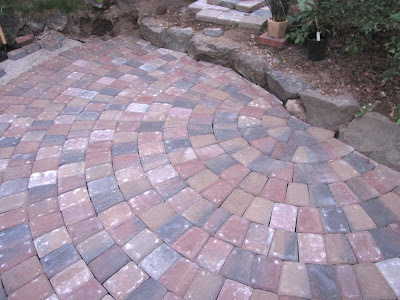 :) and i am also loving your patio so far...definitely put up some pics when finished. These are adorable. I love the aprons! Your work always makes me smile. 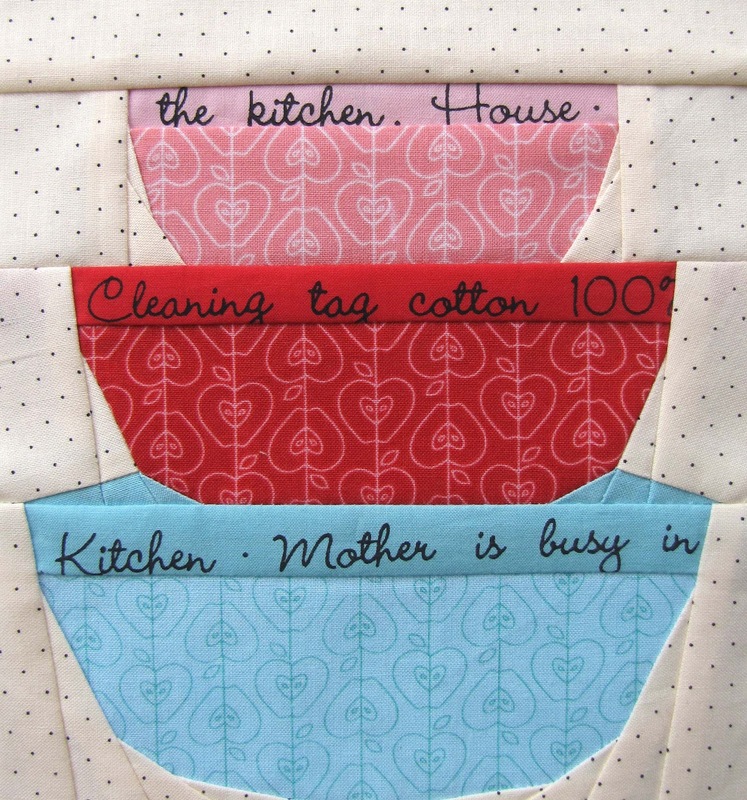 Nearly speechless, I want a quilt made out of aprons.... BEAUTIFUL! totally in love with your apron! so nice and inspiring! Wow! What beautiful patterns! I love both of them!